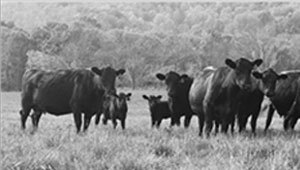 The National Cattlemen`s Beef Association (NCBA) is the national trade association representing U.S. cattle producers, with more than 28,000 individual members and sixty-four state affiliate, breed and industry organization members. Together NCBA represents more than 230,000 cattle breeders, producers and feeders. NCBA works to advance the economic, political and social interests of the U.S. cattle business and to be an advocate for the cattle industry`s policy positions and economic interests. Turn in whatever direction you may, and large interest are protected associated effort… the insurance men… the national banks… the stockyard corporations… each speak to us with a single voice, hold us in the cattleman, in his effort iron grip of a single strong hand… The single for terms and conditions, is fighting an individual battle against a thousand combined in one, against hundreds of thousands of dollars controlled by a single mind, the will of the organization. It is an unequal battle… alone, the cattlemen is nothing; in combination, everything. Upon establishing the National Live Stock Growers Association at the first convention held in Denver, Colorado, January 1898. Through three mergers, numerous organizational splits, economic busts, natural disasters, world wars, changing political views and evolving consumer wants, the National Cattlemen's Beef Association has persevered as the voice of the American beef industry.